Ten years after Ghana discovered oil and started commercial production three years later, government says it plans to increase production volumes by moving to award new exploration contracts to IOCs. How well have we fared in those 10 years and what are the emerging issues to look at, going forward? Are we moving in the right direction or already suffering from the resource curse? 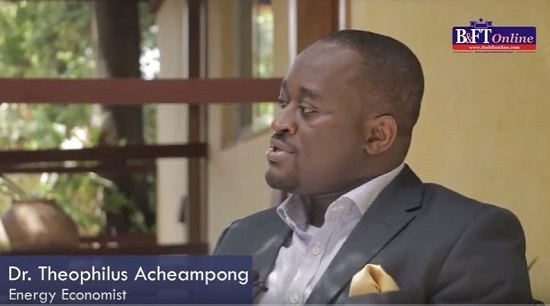 We had a sit-down with Dr. Theophilus Acheampong, an energy economist and political risk analyst to discuss the performance of Ghana’s upstream oil and gas industry over the years, highlighting critical issues in the sector, and forecasting on the short to medium term outlook for the industry.